Drummer John Hollenbeck is best known as leader of The Claudia Quintet. But like a lot of jazz musicians, he likes to experiment with different kinds of music. This 2013 album of covers was recorded with a big band and guest singers. He was born June 19, 1968 in Binghamton, NY. Hollenbeck has a degree in percussion and composition from the Eastman School of Music. He moved to New York and for several years he was a member of Bob Brookmeyer's New Art Orchestra. He was also a sideman for Fred Hersch and Cuong Vu among others. Hollenbeck formed The Claudia Quintet in 2001 and that has been his main band ever since. But he still likes to work with big bands. 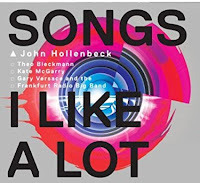 The 2013 CD Songs I Like A Lot was recorded with the hr Big Band for Sunnyside Records and Kultur Video. They are the house band for Frankfurt Radio in Germany. It's an album of covers including the Jimmy Webb classic Wichita Lineman. The singers are Kate McGarry and Theo Bleckmann. Bleckmann was born in Germany but he lives in New York. He has worked with Hollenbeck for many years. Kate records for Palmetto Records and she has recorded with Fred Hersch. The guitar solo is by Martin Scales of hr Big Band. The album did so well that a sequel Songs We Like A Lot was released in 2015. Hollenbeck continues to record and tour with The Claudia Quintet. They released an album last year. His latest side project is called JASS, a quartet featuring French musicians. 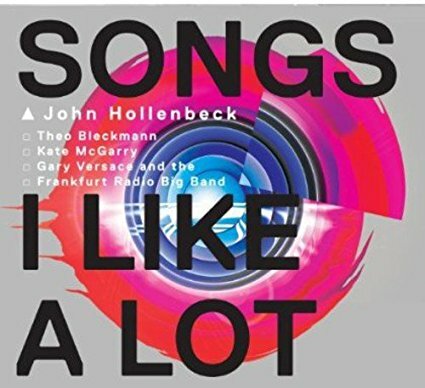 Here's John Hollenbeck with the hr Big Band featuring Kate McGarry and Theo Bleckmann performing Wichita Lineman 2013.